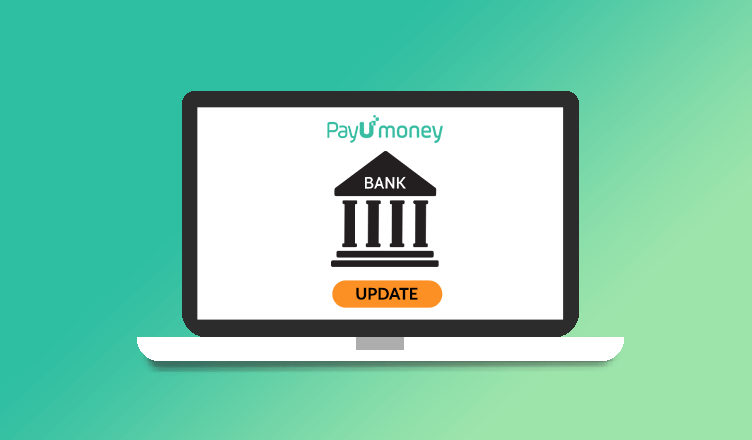 We are pleased to bring to you the ability to update bank account number on PayU money dashboard itself! No more hassle of sharing your documents again – all you need to do is click on ‘Update’. Keeping your security our priority, we have included an extra security layer for this update. Since bank account is a very sensitive information, only merchants registered with PayUmoney via mobile number will be able to initiate the change. Please note: This is an update only to revise your bank account number. 1. Login to your PayUmoney dashboard and click ‘Profile’ section. 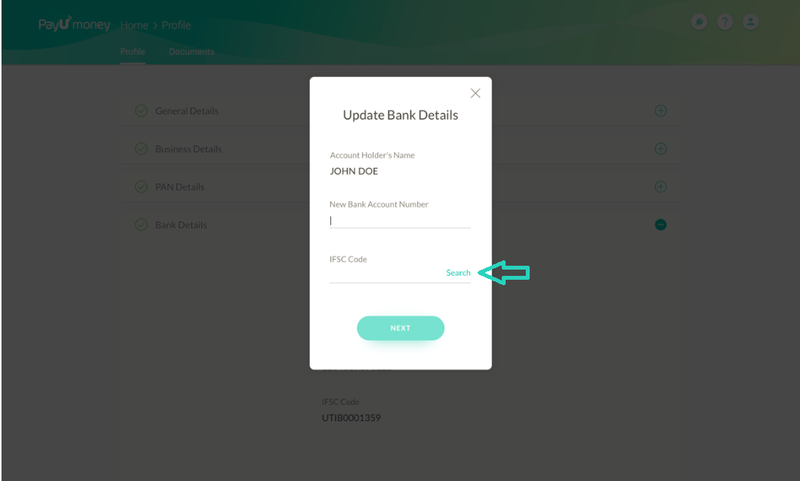 Here, click ‘Bank Details’ and next to ‘Bank Account Number’ you will see an option ‘Update’. 2. Now click ‘Update’ to get a pop-up. Here, type in the ‘New Bank Account Number’. Then you can choose the IFSC by clicking on ‘Search’ and then click on ‘Next’. Please note: You will not be able to change your name at this stage. 3. As soon as you click the CTA, a ‘One Time Password (OTP)’ will be sent to your mobile number registered with PayU. 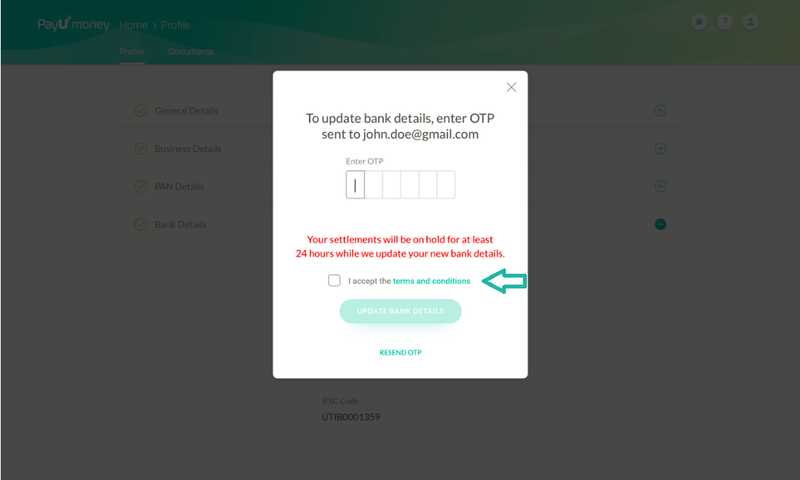 Before you enter OTP in the pop-up and accept terms and conditions, please go through it. 4. Once the OTP is verified, we will credit a small amount also termed as ‘Penny deposit’ in your new bank account. You can also view the same in your bank statement as well. 5. Now, please enter the amount deposited in your bank account under the ‘Deposited Amount’ section. 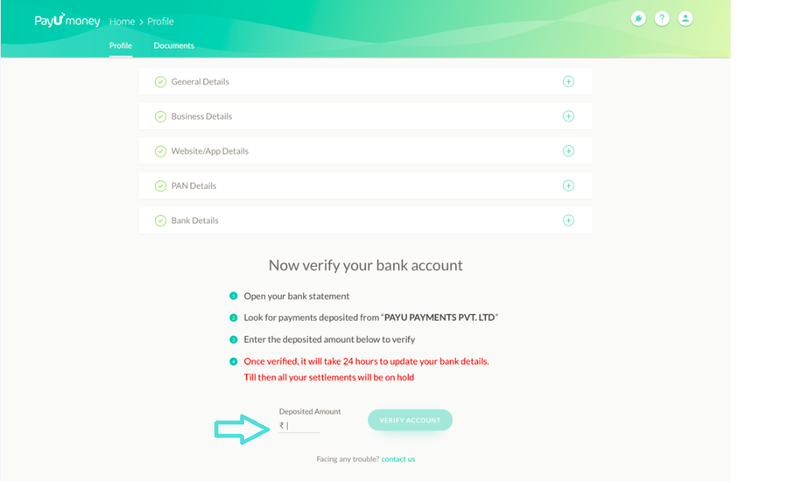 This step is to verify your bank account so that you will receive payments in your new bank account from now onwards. Watch this video on how to verify your bank account on PayUmoney payment gateway to know more. After this, you will no longer receive payments in your old account. You will start receiving payments into the new bank account 24 hours post update. Simply update your bank account number on your PayUmoney dashboard. Stay tuned for latest updates on PayU products, payments, marketing and industry trends. Reach out to us in case of any query or doubts visit our PayUmoney Support Page. PayUmoney, India’s best payment gateway, is an all-in-one payment solution! Now to enjoy the best payment gateway experience and grow your business effortlessly! Quite useful. Thanks for sharing the info.